At Sun City Shredding, every day is Earth Day. While our parent company, Sun City Records Management (SCRM), has been managing and storing huge quantities of hard copy records for 23 years, the shredding division was added nine years ago. Since then, Sun City Shredding has shredded over 8 million pounds of paper. After paper is shredded, it is baled and sent to paper mills where it is manufactured into new paper and cardboard. Paper recycling saves thousands of trees year after year — in fact, for every ton of shred paper returned to the paper mills for recycling, an average of nine trees are saved. Sun City Shredding is proud to be one of the top recyclers of paper in El Paso, Texas. 1 ton of paper recycled = 9 trees. 8,000,000 pounds of paper = 4000 tons. 4000 tons x 9 trees = 36,000 trees saved. 36,000 trees! Not only is recycling good for our environment, it’s just good business! 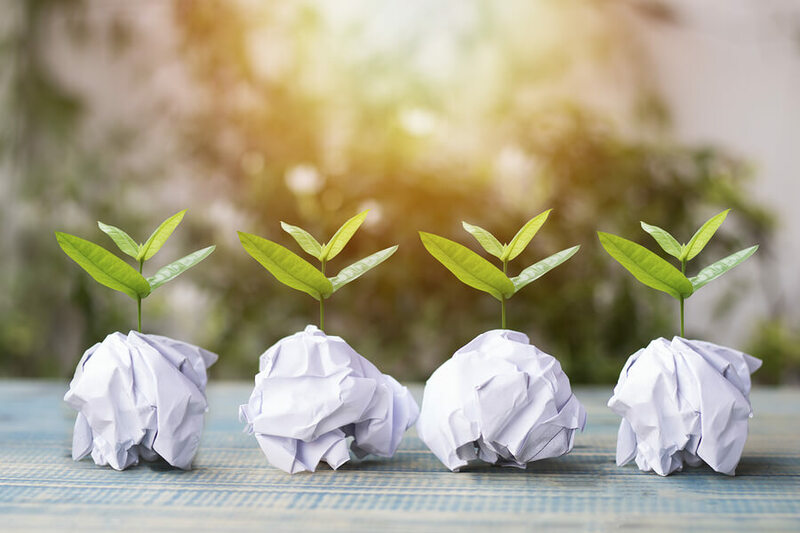 Instead of cutting down new trees, old paper is gathered from over 1000 customers every month, sorted, shredded, baled, and returned to a paper mill. The shred product is then mixed with water, mulched, and begins a new life cycle as printing paper and cardboard. Because we sort our paper before shredding, there is virtually no waste. 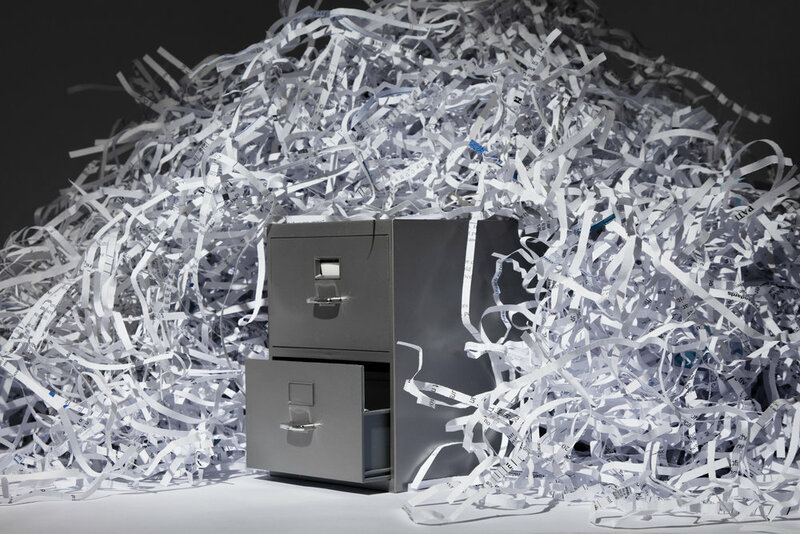 Every box, file, and binder is shredded, providing maximum confidentiality for our shredding customers and absolute usage of all paper in the recycling process for our community. Sun City Shredding performs shredding services for hospitals, doctors, title companies, government agencies, and businesses large and small. Whether you need monthly bin service in your offices or one-time services to empty out those back rooms, closets, and mini-storage units, Sun City Shredding can do the job! Sun City Shredding is THE confidential, secure, low-cost leader in paper destruction and recycling. Sun City Records Management and our shredding division, Sun City Shredding, is safe, secure, and environmentally conscious. We are proud to make a major contribution every year to the wise usage of our natural resources. We encourage you to call and compare. Not only do we beat every competitor’s price, the service is tops! Sun City Shredding and Sun City Records Management are also proud sponsors of EP Cyclists. We believe in good health through cycling and exercise. Sun CityRecords Management and Sun City Shredding sponsor one ride per week along with the EP Cyclists’ race team. We believe in investing back into the cycling community so that we can all enjoy the Earth as it was intended — clean and healthy in the sunshine. After all, we are Sun City!